Royalty-free stock illustration of a little girl with blue eyes, blonde hair and a ponytail, on an evening walk with her hairy dog. 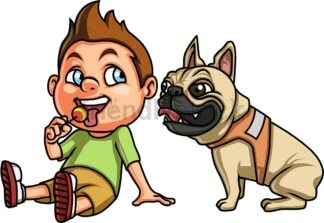 Royalty-free stock illustration of a little boy with brown hair and blue eyes, sitting on the ground next to his pug dog and licking a lollipop. 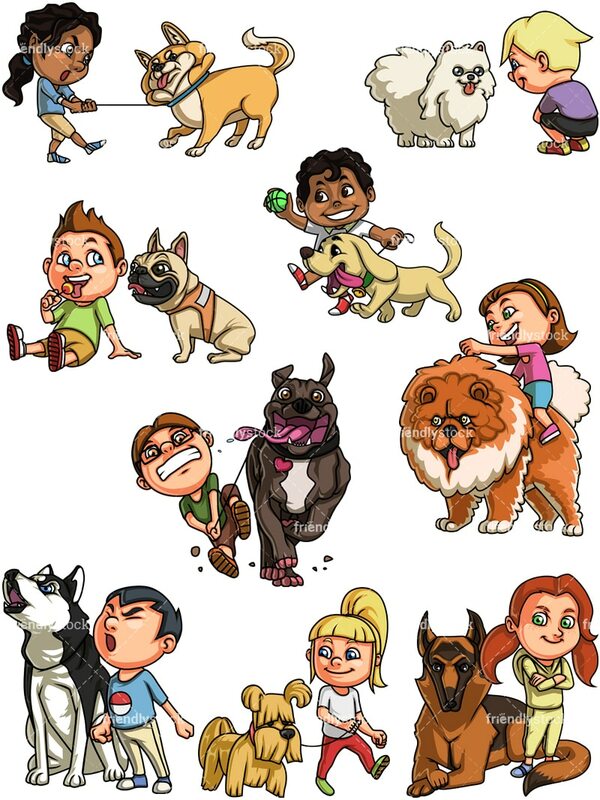 Royalty-free stock illustration of a nerdy little boy with brown hair, wearing glasses, trying to hold his massive pitbull dog with a leash while it is running away while looking excited and having its tongue hanging out. Royalty-free stock illustration of a blond little boy sitting on his knees and smiling at a white pomeranian dog. 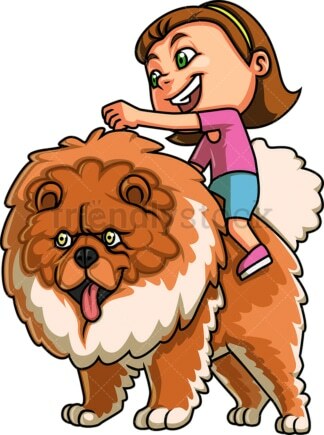 Royalty-free stock illustration of a cute little girl with brown hair and green eyes, climbing on her massive chow chow dog. 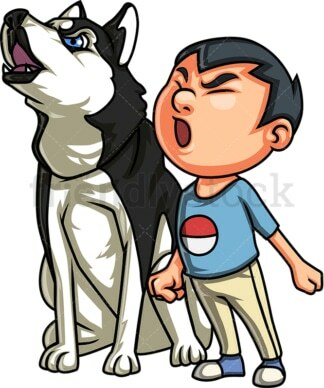 Royalty-free stock illustration of a little boy with dark hair and his husky dog, howling together. Royalty-free stock illustration of a little girl with red hair standing with confidence in front of her german shepherd dog that’s lying down on the ground. 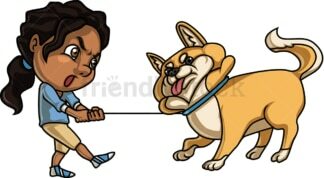 Royalty-free stock illustration of an African-American little girl with dark curly hair, brown eyes and a low ponytail, holding a corgi dog by the leash and looking a little bit angry as it resists her grip. Royalty-free stock illustration of an African-American little boy with dark curly hair, holding a tennis ball while walking his dachshund dog, probably during a stroll in the park.